It wasn't always sunny, occasionally the mornings could be overcast. On one such day one of the Hungarian built Ganz trainsets approaching Central station. 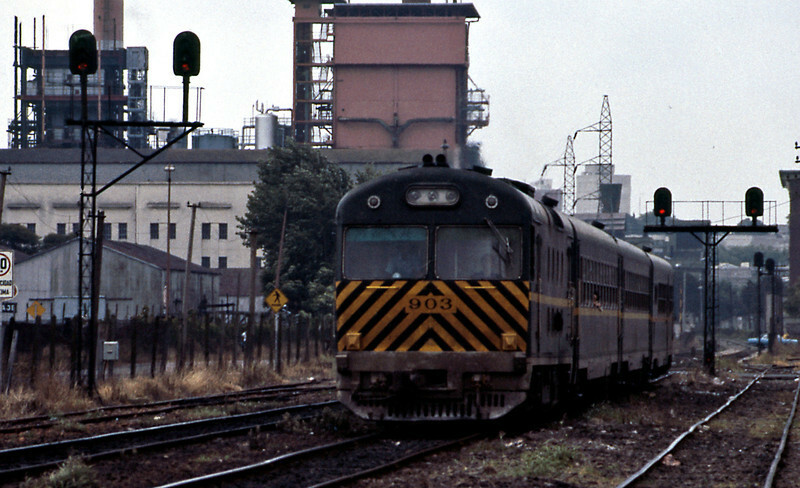 In 1985 these were the most modern trains on EFE.